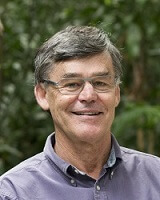 Professor Sven Silburn is a clinical psychologist, his current research is focused on developing evidence-based policy and practice in child and youth health, family and parenting interventions, education and child protection services in the Northern Territory. He holds a Masters of Clinical Psychology from the University Natal, South Africa. Professor Silburn is the Director of the Centre for Child Development and Education at the Menzies School of Health Research, Charles Darwin University.